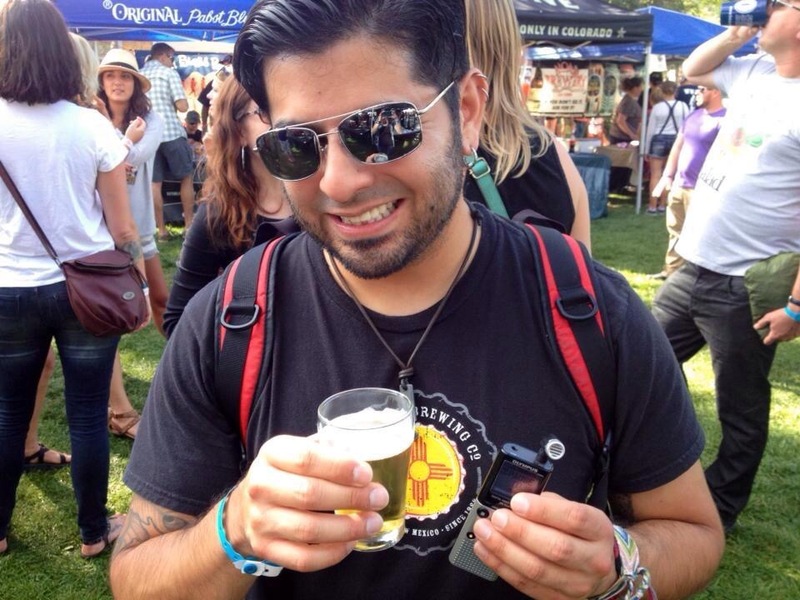 Luke reporting from the San Juan Brew Fest with the Zia sun and beer. In the Dark Side Brew Crew, we try to remain as objective as possible and build our headlines on pillars of truth. We tell it like we see it, and if we didn’t like it, we’ll say so. Remember the fiasco at the zoo? Me neither. Thank you, six-pack therapy. So what if one of us got a job at a brewery? Would that make us any less fans of other New Mexico beer? No. Will we still tour the other breweries on a regular basis? Damn right we will! Will we still drink other brewer’s beers without discrimination? Try and stop us! And will we still bring you all the news of all events in our area? It’s a promise. Beer journalism is not about the promotion of any one business or brand. Let those pumpkin-peach fearing a**holes at AB-INBEV pull that nonsene. Beer journalism, for us, is about connecting fans of craft beer to the beer, plain and simple. As it is, we’re already biased by our favorite styles of beer. Some of us are buddies with brewers, and some of us have our favorite breweries that we hang out in, but we write about them all as a rule. Our mission is just to provide you with drink for thought, and information, so that you know what’s what in our craft beer industry and, most importantly, where to get the good stuff. Full disclosure, folks: I just recently got a job at Santa Fe Brewing Co. I’m their new Social Marketing and Events Coordinator, and I’m there until I break the brewery or they get tired of me. It was about three years ago when I didn’t really know a whole lot about craft beer, only that I liked craft beer as more than just friends. Also, I couldn’t stand the frosted urinal filler that I’d been told was beer anymore. Well, I’ve come a long way since then. Through that journey I grew to love the business, the culture, the craft beer drinkers, and yes, even the mustachioed and the horn-rim bespectacled. But it was craft beer and the millions of flavor possibilities that awakened a great and unstoppable passion in me like the ancient Cthulhu. At one point, I decided that I wanted to open a brewery, but I knew that I had to learn something about beer first. So, I joined a homebrew club where I mostly listened to people who knew what they were talking about. I brewed quite a few batches on my own. I took my love for drinking and refined it to appreciating beer as an art form as well as a labor of love. And when opportunity knocked, I said, “Hold on! Let me put on some pants!” The Dark Side Brew Crew let me write a few stories for them, and my writing job, as I very seriously refer to it on the dating websites, has kept me busy, but it’s seriously saved my soul and possibly the direction of my life. So, much thanks to the Crew. They gave me a voice, made me a few industry friends, and opened many great glass doors that I’d always been on the outside of, staring in. One of these doors was Santa Fe Brewing Company. Now, with Santa Fe Brewing, my mission in the Crew won’t change. I will still continue to work to bring the Dark Side Brew Crew to Santa Fe, and with my articles, I will still spread awareness of the Santa Fe’s brewing scene, whether it be festival, beer dinner, or beer release, to all of our readers throughout the state. If you’re worried that I won’t have time to cover all the Santa Fe events, worry not my friends. I’ve been doing it with an 8-5 office job all along. I’ll also have some help from Dark Side’s new bullpen member, Julie. If you’re wondering how I’ll remain unbiased while working for a brewery, well I’ve promised the other breweries that I would still cover their events and their beers. The craft beer industry is not about competition. Good publicity for one brewery is good for another, because when people decide they love craft beer, they’ll seek it out at as many locations as they can. If their beer is worth writing about, I will. If there’s ever a question of my loyalty, know that I am loyal to craft beer and to the state of New Mexico. Both the Dark Side and Santa Fe Brewing have no qualms with that. I will be your craft crusader no matter what color my cape is. Yellow with a hint of red and a Dark Side, maybe? But you can bet, no matter what I’m doing, or where I’m doing it, there will be a Zia sun on my back, and a beer in my hand. If you have any questions or comments, leave them on the Facebook page or send them directly to me at SantaFeLuke@gmail.com.